This weekend, one catchy syllable, one unmistakable proper noun, is likely to be on the lips of many millions across the country: Bane. That's the name of the villain in The Dark Knight Rises, the third installment of director Christopher Nolan’s Batman reboot and one of the most anticipated movies of all time. It's pronounced “bayne.” You know, the same way “Bain” is pronounced. The answer—as even Limbaugh, who today semi-walked back what he said yesterday, might allow—is: yes, it is completely accidental. The character Bane first appeared in the comic book Batman: Vengeance of Bane in January 1993. Most famously, in a subsequent comic, he broke Batman’s back. Comic book writer Chuck Dixon, who co-created Bane, has confirmed on a fan message board, to a radio show, and finally in a phone call to me that, indeed, it is all a big coincidence. It’s extra-funny, he said, because he is a conservative (and as if to prove this, Dixon's latest project involves drawing Clint Eastwood); he had predicted that “Rush may pick up on this,” he said. “I'm a lifelong conservative, so to say that I'm part of some liberal conspiracy to defeat Mitt Romney—that doesn't make a lot of sense,” he told me. 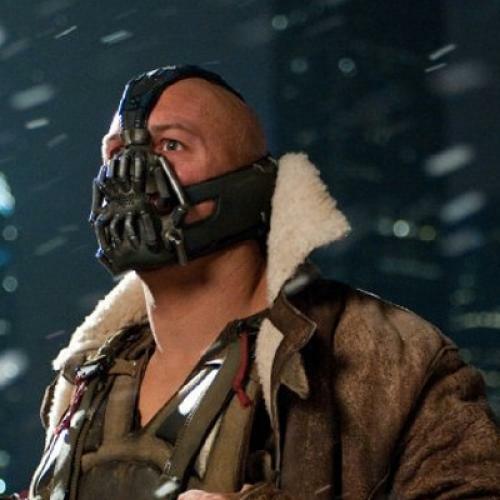 According to Dixon, Bane was created to fill a need for a year-long story arc featuring the Dark Knight’s downfall. “We didn't want any old slob,” he told me. “We created a new character who was Batman's physical and intellectual equal, so that it seemed like a fair fight.” So whence the name? “Poisonous,” Dixon responded. “Nice and punchy.” Which makes you wonder if Romney would be in less trouble had he worked for 15 years—or 18 years, according to certain SEC filings—at a place with a slightly less catchy name. In the meantime, early reviews reveal that the movie depicts Occupy and Tea Party-like groups: “Grass-roots movements have sprung up on the right and the left to occupy streets and legislative seats,” the New York Times critic Manohla Dargis discloses. But in order to see which side is better positioned to exploit the homonym near the center of the summer’s two biggest spectacles, you need only check out @BaneCapital. "We are Gotham's reckoning," the Twitter feed declares, "and also a leading private equity firm delivering industry-leading returns for our investors."